“January” is a strong musical statement from a still-young band with a long history already behind it, and an album with an exceptionally wide-ranging programme - all of it played with assurance, purpose and focus. 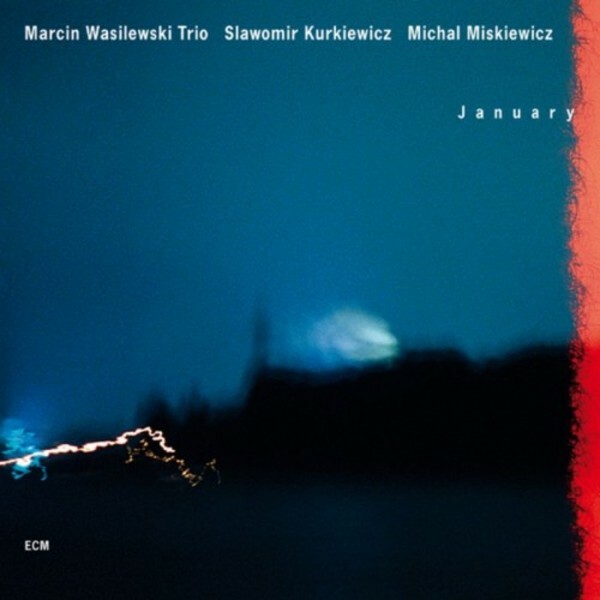 The disc reconfirms that the trio of Marcin Wasilewski, Slawomir Kurkiewicz and Michal Miskiewicz is one of the most outstanding contemporary jazz groups. Their friend and mentor trumpeter Tomasz Stanko has said, “In the entire history of Polish jazz we’ve never had a band like this one. They just keep getting better and better.” It was through Stanko’s ECM recording “Soul of Things”, recorded 2001, that the wider world first had a hint of the capacity of Wasilewski/Kurkiewicz/Miskiewicz. Since then, they’ve toured widely with Stanko and contributed mightily to his quartet recordings “Suspended Night”and “Lontano”, recorded in 2003 and 2005.